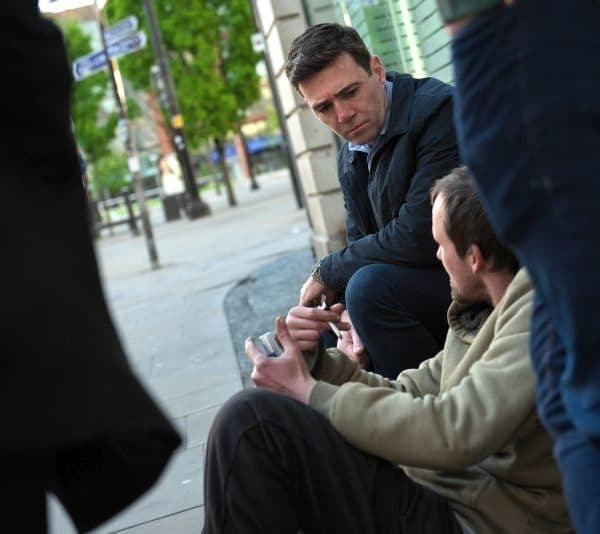 I have always been clear that trying to tackle rough sleeping and homelessness should be something that any Mayor of Greater Manchester should be committed to. In the 18 months since I was elected this has become my top priority. In that time I have learned a lot about what ending rough sleeping and the need for it actually means and what it will take. It has been a steep learning curve. Rough sleeping is the most visible form of homelessness and we have adopted the goal to end the need for anyone to sleep on the streets of Greater Manchester by May 2020. This is a full seven years ahead of the government’s target. We have seen our response to rough sleeping improve and become more co-ordinated. Last winter, across the city-region, we provided an unprecedented number of beds for people as the weather turned colder. This was due to the hard work and effort of our local authorities and their partners in the voluntary and private sectors. This year we want to do even more. That is what we are all about in Greater Manchester. We are setting a new national standard with our ambitious pledge to end the need for rough sleeping and are now on the verge of a massive step towards achieving it with the commencement of A Bed Every Night at the start of November. Our goal is to provide a place for every person sleeping rough every night right through the coming winter, from November 1st to March 31st. While we won’t turn people away, this scheme is only available to people whose last address was in Greater Manchester. We simply do not have the resources to open it up to people from further afield and we cannot create an incentive for more people to come here than we can accommodate. We will be delivering this across every borough in Greater Manchester; we had over 200 places available across the city-region on November 1st. Over the coming weeks we will continue to work to increase that number as well as making sure there is a range of accommodation available, including safe provision for women and places that will look after dogs. We also want to make sure that it is more than a bed for the night. Ideally, we want to provide a steady base with a hot shower, a hot meal and specialist support to help people begin a journey away from the streets. A Bed Every Night comes at just the right time – we will soon have more provision available through our Social Impact Bond (SIB) and our ground-breaking Housing First programme. 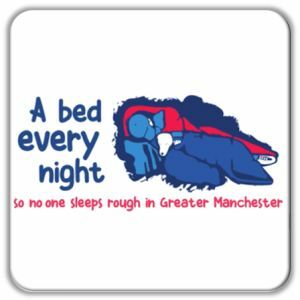 A Bed Every Night is not a sticking plaster but the first stage of a new systematic approach across Greater Manchester to ending homelessness. It will enable us to use every contact with rough sleepers to work with them to deliver more sustainable solutions. Ideally, we want to move people through emergency shelters into the right accommodation option for them, to enable them to stay off the streets. Underpinning all this is our “whole-society” approach. 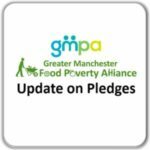 We know we cannot achieve our goals with public money alone so we are working hard to mobilise the contributions of all sectors of Greater Manchester society – public, private, voluntary and faith – as part of the same strategy. This is the only sustainable way of tackling this chronic issue. I am so grateful to all the people who have contributed to the Mayor’s Homelessness Fund which has so far raised almost £145,000. The Fund is now wholly dedicated to the purpose of supporting A Bed Every Night. We are also enormously grateful to Manchester City captain Vincent Kompany for throwing his weight behind the cause. Vincent has committed his Testimonial year to raising funds to support A Bed Every Night through his own Tackle4MCR campaign. 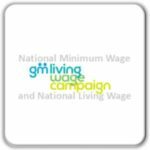 We need every penny to maximise the success of A Bed Every Might and I hope people will consider supporting us however they can. We know that there are challenges which we cannot control but, more than ever, I’m convinced that this is the right thing to do. Not least because of the number of deaths on the streets of our country. I hope that with this next development in our approach that we can go a long way towards our goal and that this will be a major step to achieving our target. 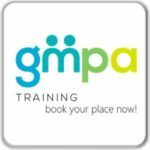 I look forward to updating you all on our programme in the New Year. Thank you for your support.